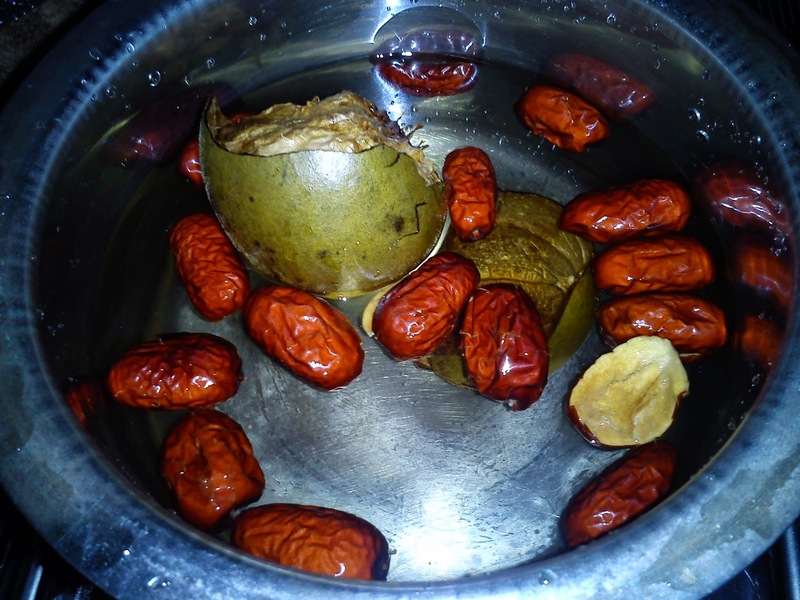 Loh Han Guo aka Buddha’s fruit is available in most Chinese medical shops and comes in several sizes. 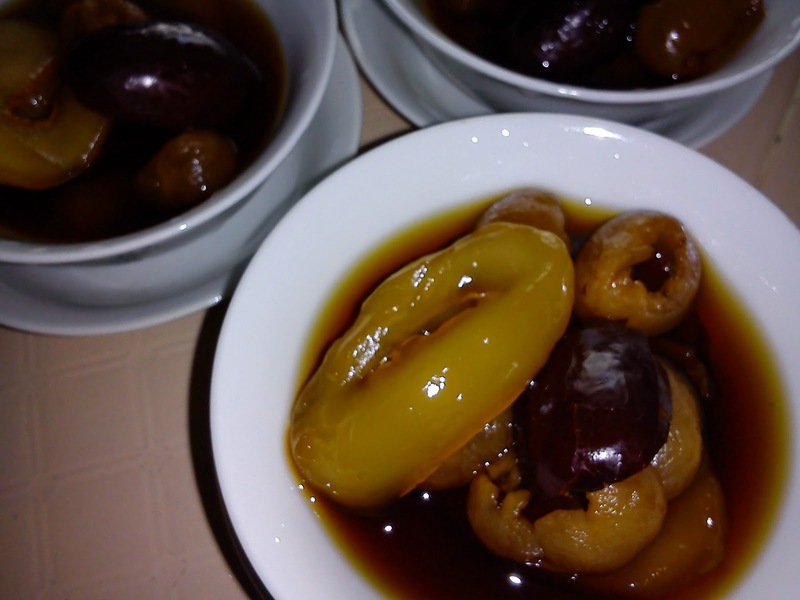 The thin shell cracks easily and was told that it is this shell that contains the flavour of Loh Han Guo. For this dessert, try to request for sweet ones from the shop owner. 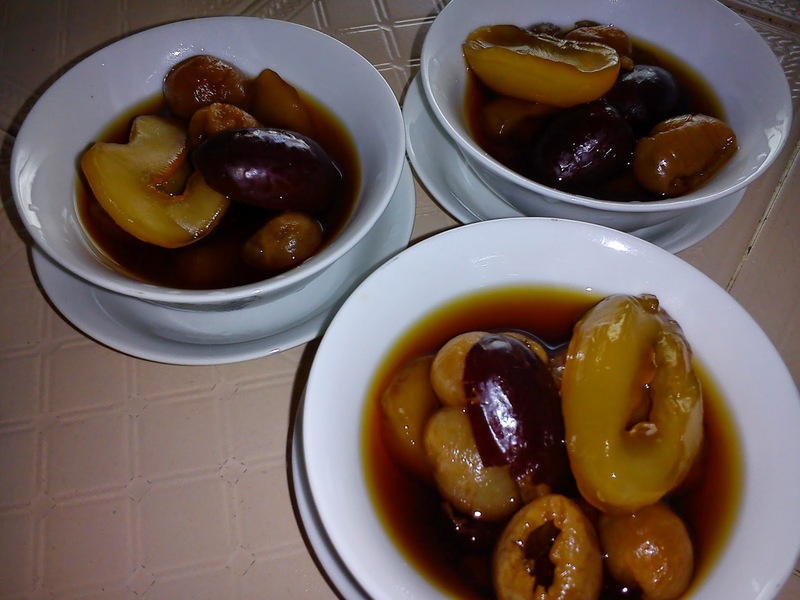 If using sweet ones, no sugar is needed to cook this wonderful dessert. 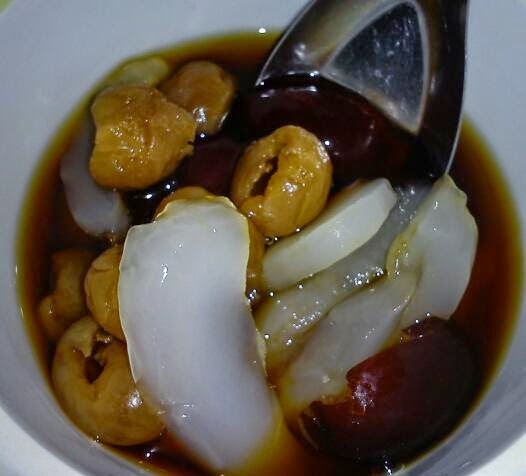 The original recipe uses fresh sea coconut [hoi tay yeah] which is obtainable from the wet market stalls but sometimes it is not available as it has a short shelf life. 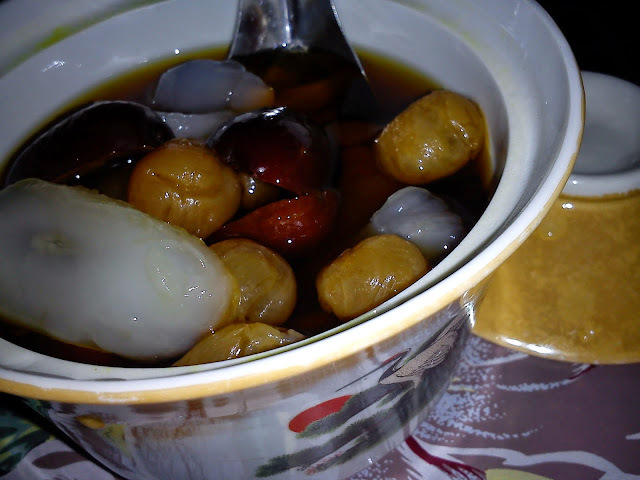 Here, I used canned sea coconut aka Toddy Palm in sweet syrup. I didn’t add in the syrup as the soup tasted sweet enough with the other ingredients. Using canned sea coconut makes preparing this dessert an easy task. Put loh han guo, red dates and water in a pot. Bring to boil and simmer for 10-15 minutes. 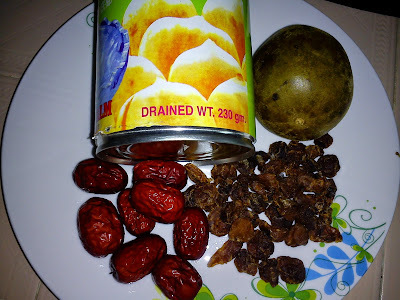 Add in dried longan flesh and continue to simmer for 15 minutes. Add in sea coconut flesh. Taste to adjust. If it is not sweet enough, add in some of the syrup otherwise omit it. Serve dessert hot, warm or chilled. If using fresh sea coconut – remove the hard shells, tear off the membrane and cut into thin slices. Add rock sugar to taste. Kimmy, hah..hah...now only I know what is that fruit with shell. I see it at the supermarket and I used to wonder what is that. I like desserts with sea coconut. Hi Kimmy, this is such a refreshing and healthy herbal dessert! Thanks for sharing it to BREE! Hi Phong Hong, fyi this dried fruit is taxable item [GST] but worthwhile buying cos' it makes such a delicious, healthy dessert. No sugar is needed cos' of its' natural sweetness. The canned sea coconut is also good. There are soft and crunchy ones in 1 can. Hi Aunty Young, surprisingly good. I'm missing it now. I like the idea that no sugar is required to cook it and yet we get to enjoy nice and healthy dessert.